As a CMIO, I’ve spent most of my time working for hospitals and health systems. The bulk of my experience has been in with face-to-face using a “train the trainer” model. Our in-house trainers learned from the vendor’s trainers; our trainers in turn deliver the training curriculum to end users. As healthcare has evolved, many organizations have wanted to get away from traditional classroom training, whether due to facility, logistic, or cost issues. Having users participate in at least some kind of online or self-directed learning prior to in-person training is highly desirable. We created this kind of training at my organization last year and it’s been fairly successful. I haven’t really been able to judge it as objectively as I’d like, however, because I already have a deep knowledge of our system and had been previously trained in the old methodology. I’m glad that my employer allows me to moonlight at other facilities. I mentioned last month that I was going to start at a new site. Since I’m clearly a health IT geek at heart, I was actually excited to receive the email today with my password to their learning management system. It’s clearly a vendor-driven system – my new employer didn’t go out and code this on its own. It’s branded with the vendor name and the graphics are fresh and inviting. Maybe I was looking for a reason to procrastinate, but it made me want to put aside the HL-7 specs I was reading and dive right into training. I think I was most excited about experiencing what online training might be like in a situation where I wasn’t involved with designing or maintaining it. The system was ridiculously easy to navigate, with both a traditional navigation bar and a more graphical representation. That made me smile since I spent a lot of time arguing with some of our developers about the need for “old school” navigation when we configured our system. People have different learning styles – some are abstract thinkers and others concrete – and often seem to do better with one approach over the other. I’m more of a traditional girl, so I dove right in with the top-down navigation. The introduction was handled with a video presentation. What struck me first was that it had background music. 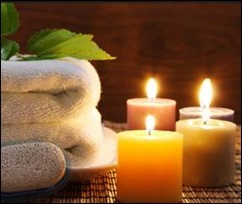 I haven’t seen that much in the training content I’ve used previously, but it was somewhat spa-like and unobtrusive, so I decided I liked it, although it kind of made me want to get up and light some scented candles to match the mood. Once I completed the introduction, it released me to view the courses in which I had been enrolled. Many organizations assume providers don’t care about the practice management aspects of the system, so I was excited to see that I had been enrolled for training on the billing system as well as the clinical system. Knowing my background, they may want to revoke my enrollment in the EHR Configuration section but I am looking forward to seeing how things work with a new and different vendor. Once I moved into the provider training, I was glad to see that it had option for both video/spoken content as well as turning off the audio and just reading. Putting myself in a typical physician’s shoes, I found it to be a little heavy on the technical jargon as it discussed virtualization and thin-client delivery. I don’t know that I need to be told that 100 million users have experienced “the promise of proven application compatibility” that is Citrix XenApp, but you can bet I’m going to use that factoid in our next office trivia contest. I’ve spent most of my career using enterprise-class EHRs that attempt to support every specialty under the sun. This is the first time I’ve used a specialty-specific EHR. I have to admit it’s significantly different than my past experiences. There were other exciting non-specialty features as well. In contrast to the system in place at our hospital, patients can pre-register and check in online. Instead of jumping right to the physician part, the module then walked me through the basics flow of a visit, including what the front desk staff would see and do. Not at the level where I could perform the tasks, but just to give me an idea of the features. I often think that physicians would be more forgiving of a lengthy check-in process if they understood what really went on in the front office. This will also be the first time I’ve used an EHR that is optimized to run on an iPad. Although it looks cool, it was kind of jarring to keep looking at a screen in portrait layout rather than the landscape layout we’re all so used to. As I went through the initial training session, I saw a couple of things that raised my EHR developer hackles: inconsistent use of color and blood pressure fields where systolic and diastolic were combined are examples I noted. I know I’m more discerning than the average user, but I had thought vendors were well past those entry-level design flaws. I have to admit, though, I drooled a bit when I saw how the system handles approximate dates. My primary vendor has struggled with this for quite some time. Maybe the way my new EHR is handling it isn’t glamorous, but it gets the job done much better than I’ve seen other vendors do it. Unfortunately, that was just a teaser during the EHR overview, and I’m going to have to wait to dig into it a little more. Each module shows the length of time allotted and most look like they’re 20-25 minutes. Since my eyelids were already drooping from a long day at the office followed by yet more snow shoveling, I decided to call it a night. Do you have a passion for online training? When is the last time your CMIO learned a new EHR? Email me. I work for a company that creates eLearning specifically for EHR software so I found your entry very interesting and informative. I will watch for more entries from you in the future!